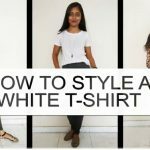 Manali is known for it’s amidst beauty of valleys and mountains and of course the lovely white river Beas running around the small Town of Manali. 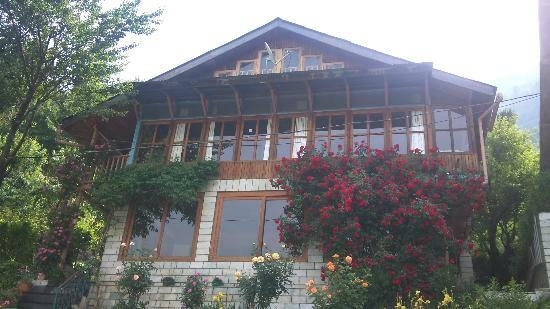 One can find lots of things to do in Manali and to plan a tour to Manali is very easy and comes in Budget too. 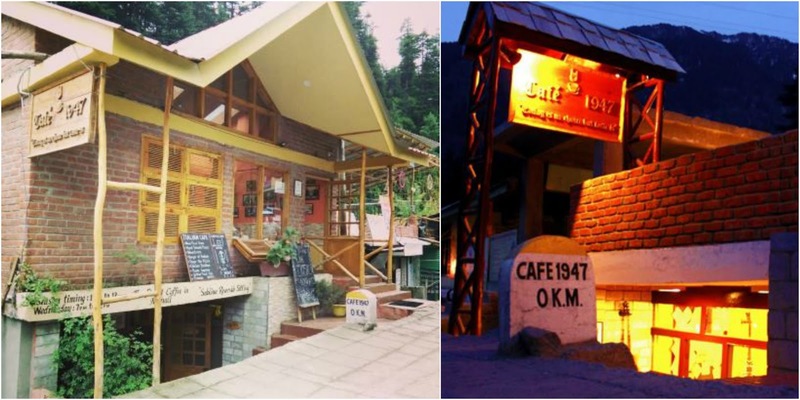 Check out How to Plan a Budgettrip to Manali. 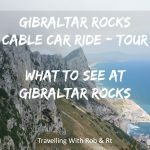 Here’s what we love when we are travelling, it’s all about the good places to see, sightseeing, the things we get to do and the food we get to eat, is what rates the town or destination for travellers. 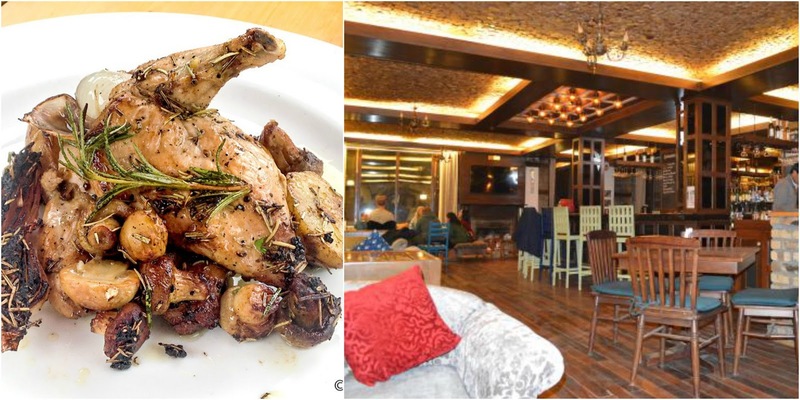 And you can’t get best satisfaction without some good food or say places to eat in Old Manali and Manali which will eventually mean you are in for some entertainment as well! Best Places to eat in Manali can vary from a person’s taste type but yes there some places where you will find best food in Manali and also some places for a budget cost. Mostly we can spot cafes and pubs which are so entertaining with Live Performance by Singers and Guitarists, or a fun street food stall which has outside adventures to be offered especially at certain points of Old Manali like the Mall Road Restaurants. What you can expect is both Veg and Non Veg so don’t worry if you are only a vegetarian or can’t resist a day without some Non Veg delicacies, list has some BBQ restaurants to Tastey full meals. 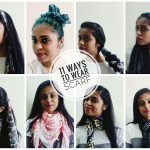 This is on the top most list of this blog as I think there’s nothing compared to the ambience, food taste, variety, view and venue to the entertaining segment as well as at cost is budget! 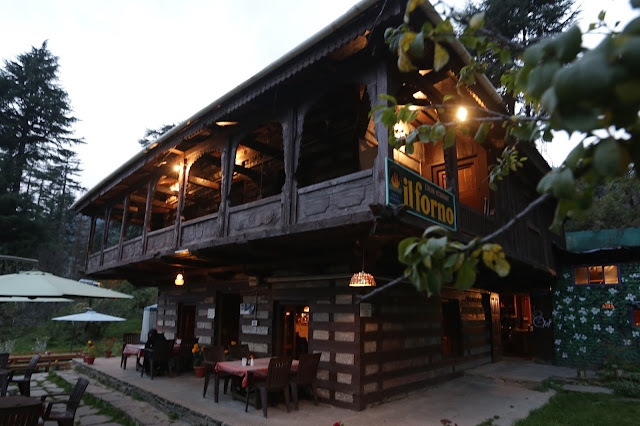 It’s near the popular Old Manali Bridge on the way to Manu Temple and has a top deck, and main entry underground as it’s next to flowing stream and a place to sit outside at the lower balcony where table arrangements are done for a lovely experience of dinning near the flowing river. My personal experience here was one of the Best in Manali for an Italian Restaurantwhich offers fresh oven baked pizza, lasagna, baked pasta sandwiches and so much more. Enjoy Live music when a sip of liquor, I vlogged my experience here in My Manali Vlog too, Check out for real review too. Location: Old Manali Bridge, to Manu Temple, Manali. This is also a very cosy place to eat at Manali and has its own beauty where it is located up on the hill on Hadimba Road. 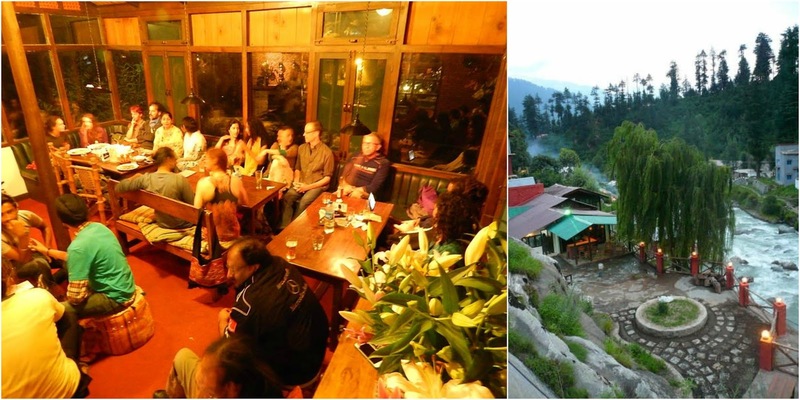 Surrounded with Mountain View and valley which also has a flat campus where sheds and tables are set outside, as well as at the verandas of the café. The ambience is also very dramatic and alive of beauty of the forest woods. Italian cuisine is best served here to enjoy a lovely taste of continental cuisine. Location: Old Manali, Hadimba Road. 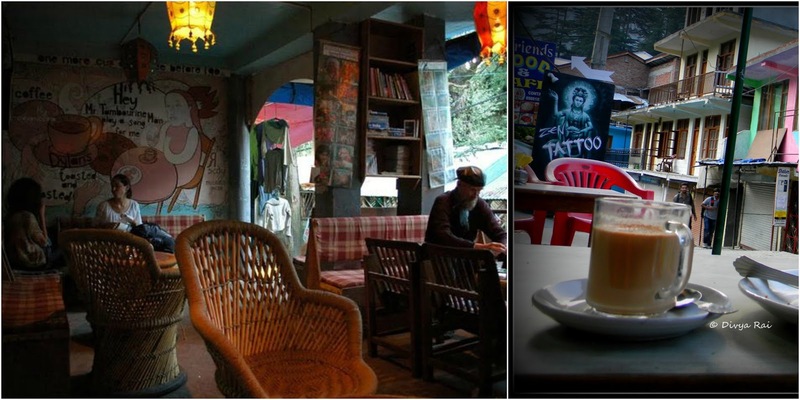 For all those coffee lovers, you will find heaven here once you are craving for coffee in Manali. Best place for Coffee house in Manali has to go to this one. Its interior is also like a pub and cosy which offers specially brewed coffee from Coorg. It also served more snacks of toasts and roasts as the name suggests. You can enjoy a morning breakfast or an evening snack definitely. 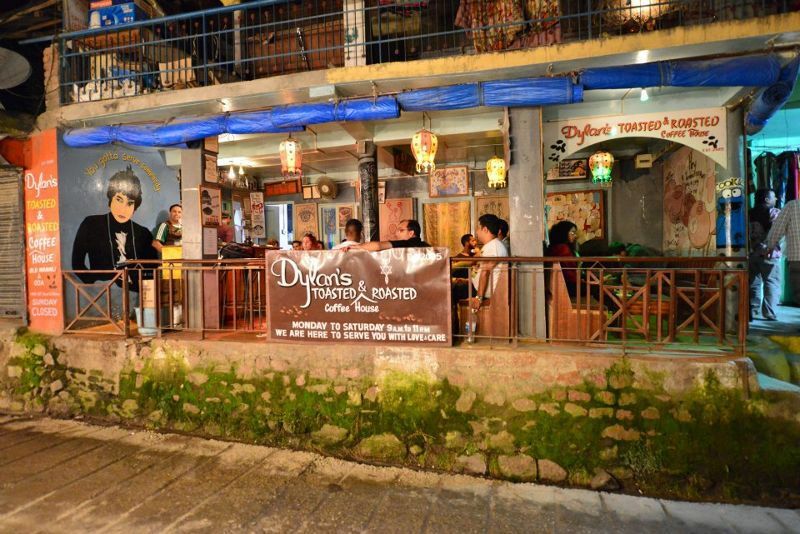 Love the place as it’s located along the river stream too, and yes its sitting gives you a vibe of the laid back feel with bamboo sofas, wood chairs and wooden furniture. 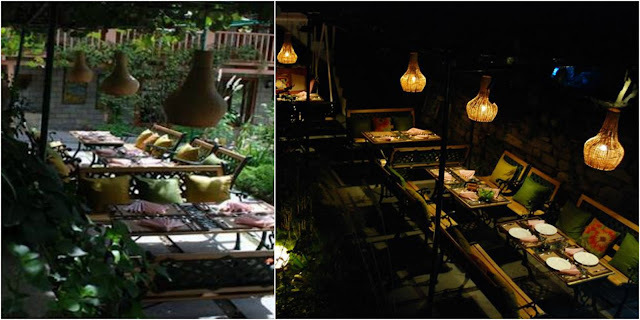 Open terrace area which is one of the best to enjoy your breakfast or lovely evening supper with glim lights. 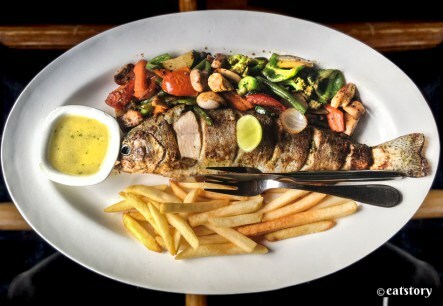 It’s a perfect cafeteria bar and grill which serves best grilled trout fish to Indian food and Chinese, Thai, Mexican cuisine. 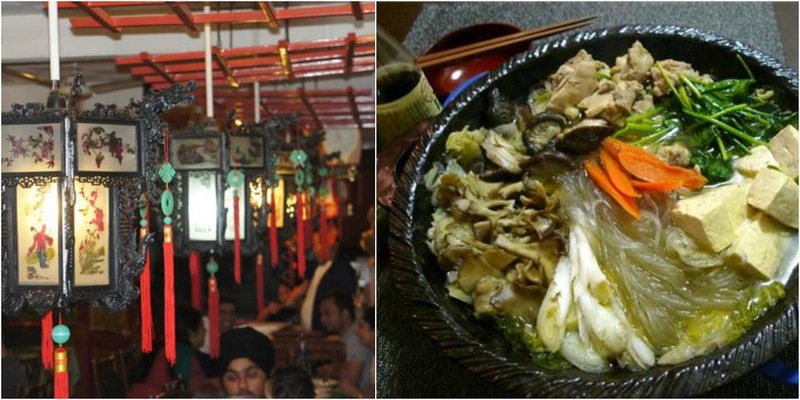 This an oriental Tibetan restaurant at Mall road and yes, the place as a lovely ambience for the kind of cuisine it serves. 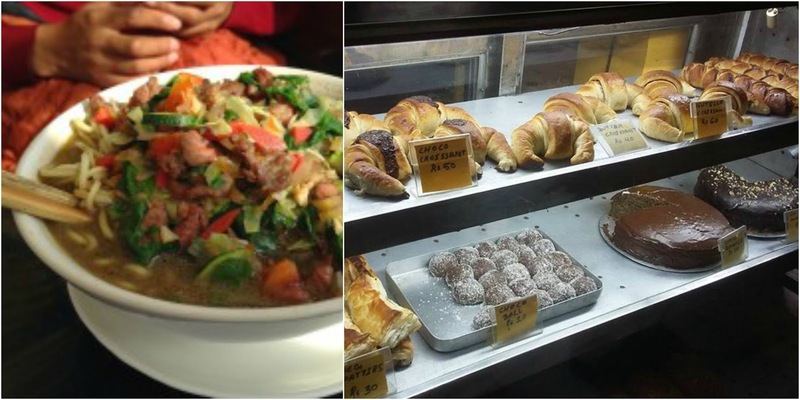 Not to mention those favourite momo varieties services as well continental food. You can enjoy breakfast in continental at best to the lunch and dinner in Indian, Chinese, Continental and Tibetan menu to choose from. 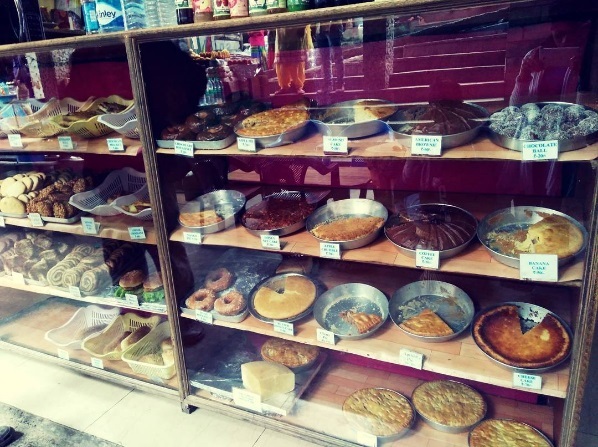 It’s just at the busy streets of Mall road where we find more restaurants which are popular but I must say this one is famous for its Tibetan cuisine and fine service to ambience after a wonderful shopping spree experience you have taken. The finest place to have French Cuisine which won’t let you down, located on the Club House Road, behind it away from the busy street. 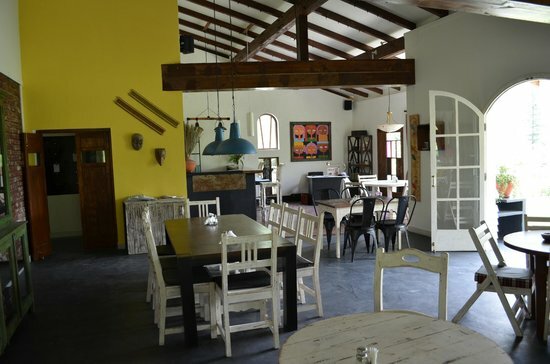 It offers a beautiful country French ambience with interior and ambience to match the restaurant concept. You can find am open garden sitting just like by the orchard look if that’s enough to say and the interior as said is awesome with the perfect European feel. It serves you Continental as well as Indian Delicacies. 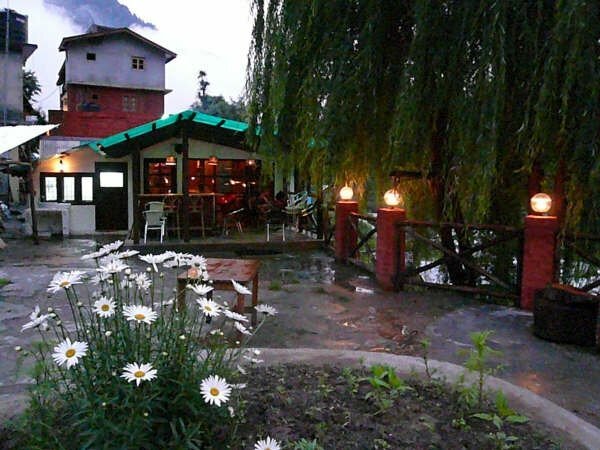 This one is one of its favourite in the area of Bashisht or Vashisht Village – Manali as the Rose Garden Restaurant which is a famous Italian Restaurant. It’s an open garden restaurant. 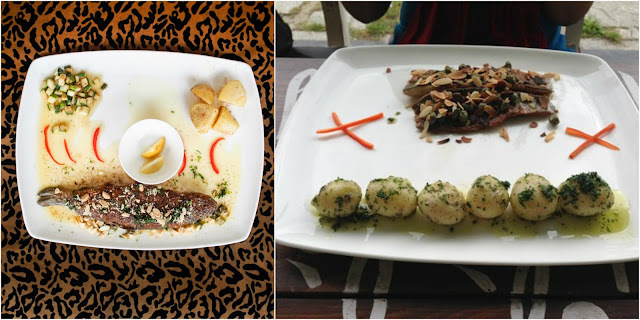 Serves delicious Italian cuisine which is also owned by an Italian Owner themselves. Bashisht is Just on the up hill side of Manali as you cross the Old Manali Bridge to come to New Manali. 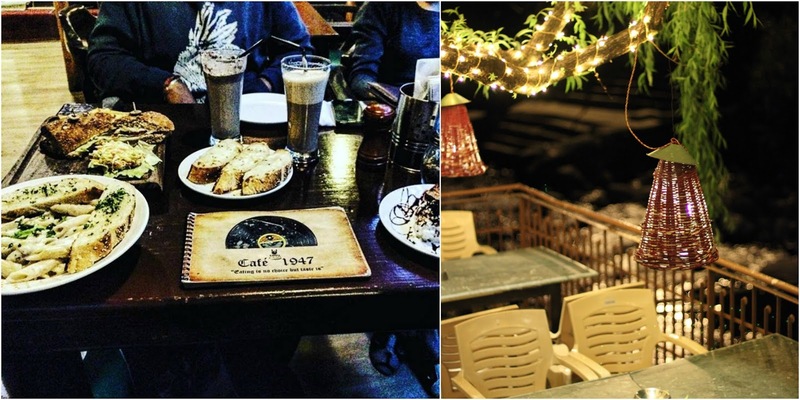 You can expect some great desserts and snacks to meal here at this Veg Café at Mall road. Amigos is well known for its location at Mall road and it also serves vegetarian food as well as milk shakes, pastry to hot soups and full meals too. I have included this one in the last of 9 as it is one which is very very popular for the food and ambience and serves zero at service as per my personal experience. So yes it does come in the places to eat in Manali but for me it’s not the first choice now. Staff is very indecent and does not serve or avoids you when called out for, even when we left the table, no one bothered whilst looking. So that’s that but yes the food is very good, especially the touch of continental cuisine like rosemary chicken, lamb chops, and some full meals. After all these Best Restaurants to eat in Manali, I have some Street food in Manali which is famous and worth a try to give you bets experience. We were in for a walk in the evening at Clubhouse and on the way as the stream flows besides are stalls of snacks and food all along. 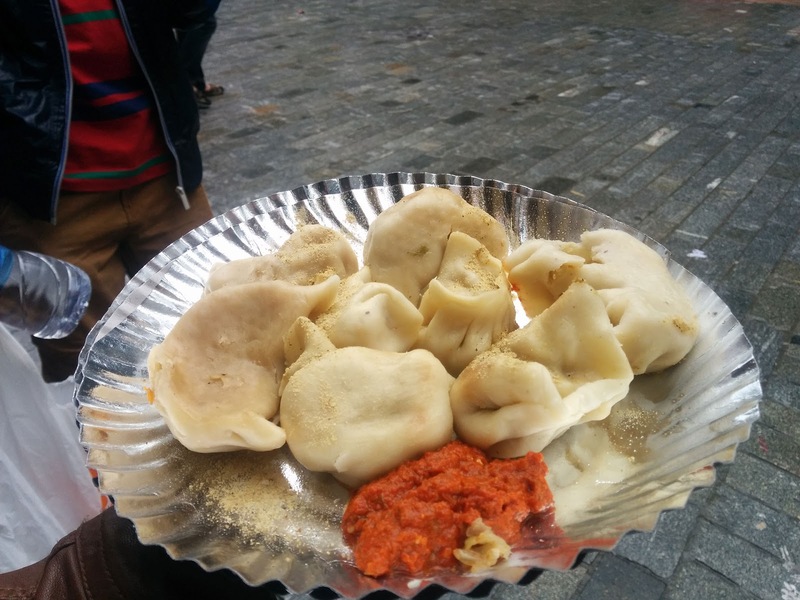 Momo’s are the thing you should try with that tasty tomato and garlic sauce they give you. 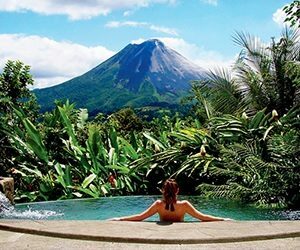 You can enjoy the view of the river just besides and also see tourists taking adventures activities like river crossing and jumping. Loved this small café at the peak point of Bashisht Temple, before you reach it’s on the lane on left under there with a small sitting arrangement and a large counter of awesome baked goodies like cookies, pastries, fresh fruit pies and more. We had a bite of Apple Pie and Yak Cheese Sandwich that was tempting. Bought Cookies to take back home too. 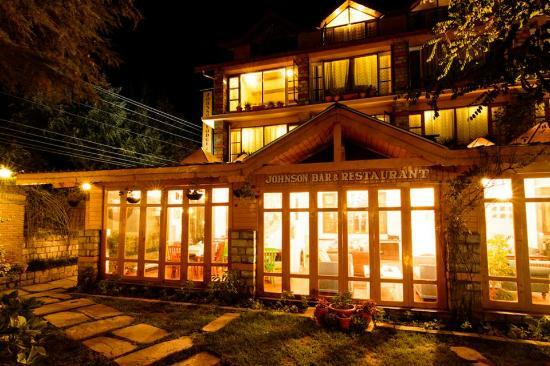 I couldn’t forget about this now can I, I stayed here for my holiday in Manali and it was simply the best, not to mention a Celebrity like Mr Manoj Bajpayee and his family to were checked In for a couple of days in the same resort. The Restaurant is on the ground floor which opens up to a beautiful balcony on the hills of Prini Village Manali. It is far but yes it’s worth a try if you are staying here, Breakfast to dinners they have variety of Indian veg and Non veg as well as Chinese, Italian and multi cuisines served up here. 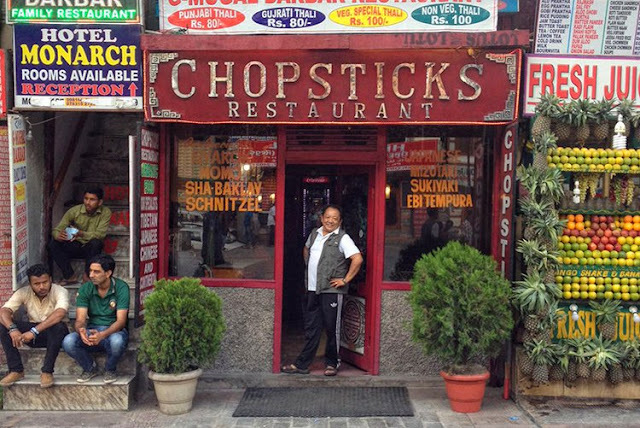 The look is classic and feels sober but the food is awesome and can never regret when you do have a bite here. At Himalayas what you will find along the highways roads isn’t just awesome Tea but also Maggie. You may not find much to up there on Solang valley routes or say other routes of Himachal but you can find Maggie for sure, and yes you need to taste the variety they have in these too, Cheese Maggie, veggies or masala. 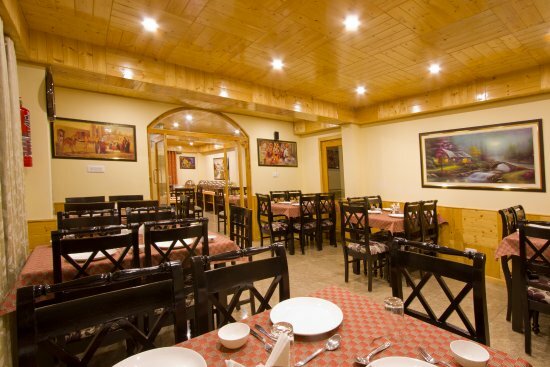 This is one which is a famous and say staple food of Manali and served best by all from small Dhaba to restaurants. Do have a try of this if you love Seafood. 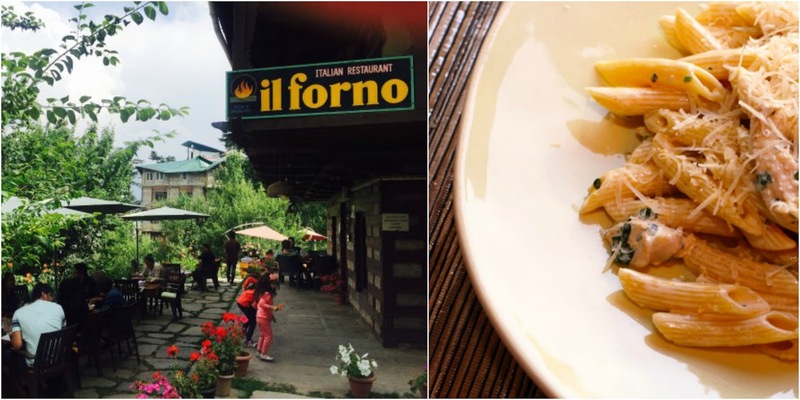 So that’s all that needs your attention when in Manali so you know Where to eat in Old Manali and Manali. 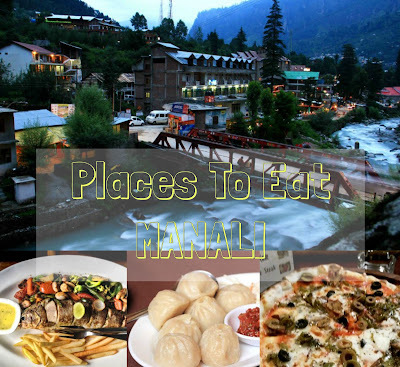 Thanks for reading and if you are Planning a Budget Trip to Manalido read on the Blog Guide on Travel on aBudget to Manali. Here’s One more useful Travel Vlog – Trip to Manali, Dangerouse Roads in Himachal Pradesh at Solang Valley, Kullu and Manali.